Vincent K Shier is a partner in Oblon’s chemical patent prosecution and Patent Trial and Appeal Board proceedings practice groups. Dr Shier also is involved in several ongoing litigation matters. As post-grant challenges at the US Patent and Trademark Office (USPTO) have gained popularity, a significant portion of Dr Shier’s work has become focused on contested proceedings in court and at the USPTO. This includes the post-grant proceedings available under the America Invents Act, as well as traditional re-examination and reissue practice. In this capacity, he leads the team responsible for post-grant proceedings in the fields of chemistry, biochemistry, biotechnology, biomedicine, genetics, molecular biology and pharmaceuticals. 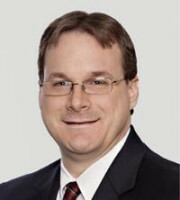 In addition to frequently providing industry insight to clients, attorneys and the chemical industry on post-grant proceedings conducted concurrently with litigation, Dr Shier also lectures throughout the world on the evolving standards of obviousness and patent-eligible subject matter, as well as providing counsel on patent prosecution strategies in the United States. As a prosecuting attorney, Dr Shier’s work involves preparing and prosecuting patent applications in diversified technologies within the chemical and biotechnology disciplines involving genetics, molecular biology, therapeutic methods, pharmaceuticals, DNA microarray technology, plants, food products, renewable energies from sustainable sources, minerals and mineral applications, and a diverse array of chemical products and processes. Another aspect of Dr Shier’s practice entails client counselling and the development of patent portfolio management strategies for small and emerging companies, as well as large multi-national corporations. Dr Shier’s work is complemented by his research background which spans diverse fields, including biochemistry and molecular biology, as well as biophysical, bioanalytical and bioorganic chemistry.